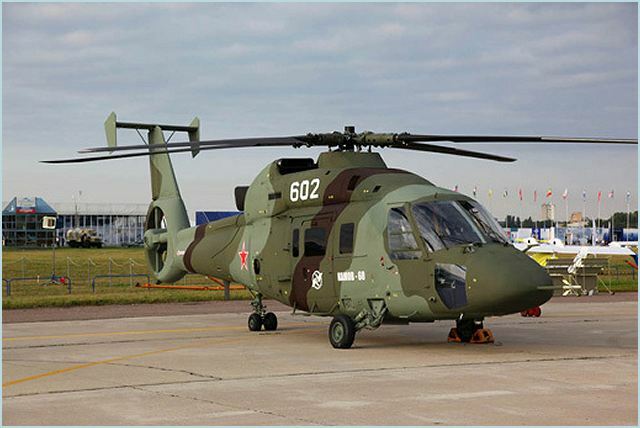 A full range of latest generation of Russian-made helicopters at ILA 202 Berlin Air Show. Russian Helicopters, a leading global designer and manufacturer of some of the world's most renowned, innovative and widely used helicopters and part of Russian state defence holding Oboronprom, exhibits at the ILA Berlin Air Show on 11-16 September 2012. 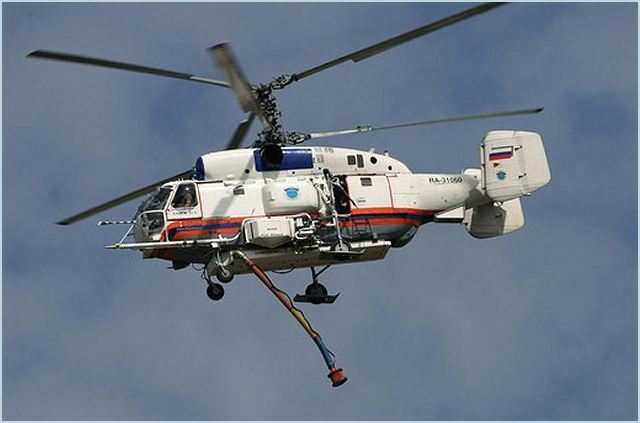 Russian Helicopters will present the light multi-role Ka-32A11BC in the fire-fighting configuration used across Europe to combat wildfires during the summer months, as well as the advanced multi-role Mi-38 and Ka-62 and the new Mi-171A2 – the overhauled latest version of the world’s most popular helicopter, the Mi-8/17. The company can be found in Pavilion 1 at Stand 1305. Ka-32A11BCs are already on duty fighting fires, maintaining public order and flying medevac missions in disaster areas in numerous countries around the world. In Europe, the Ka-32A11BC is used in Spain, Portugal and Switzerland, and beyond. It was certificated by the EASA in 2009. The multi-role Ka-62 made its debut on the global commercial market at the Farnborough International Airshow in July 2012. Created using the latest technologies and materials, the Ka-62 is a single-rotor design, with an enclosed multi-bladed tail rotor. It is designed for corporate use, as well as search-and-rescue and air-ambulance operations, and can also be used in the oil-and-gas sector. 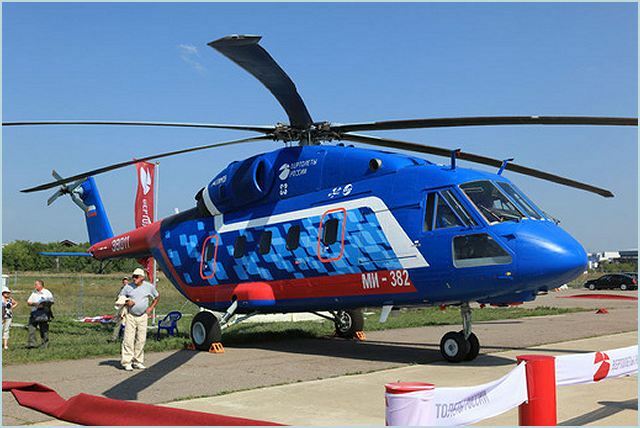 The modernised Mi-171A2 is the latest version of one of the world's most popular helicopters, and is set to maintain Russian Helicopters’ presence in its traditional medium helicopter segment. Russian Helicopters has included more than 100 innovations to improve the Mi-171A2’s flight performance and handling, and to reduce operating costs, thereby increasing the efficiency of any helicopter operating company. 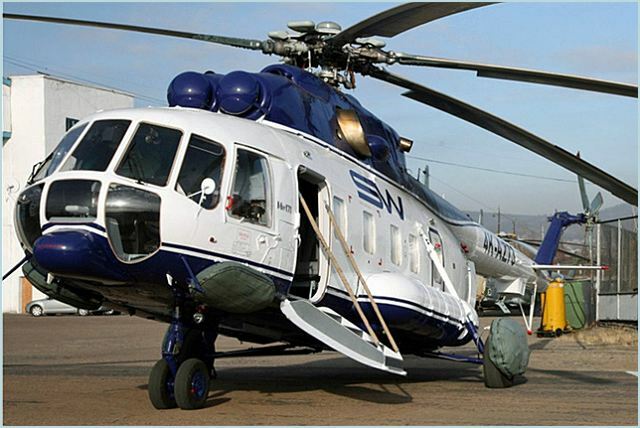 Mi-38 is the next-generation of transport and passenger helicopter capable of carrying up to 30 people. The new Mi-38 is a next-generation transport and passenger helicopter capable of carrying up to 30 people or loads of as much as 7 tons at standards of safety and comfort that are among the best in its class. Two prototypes have already been made – the OP-1, using TV7-117V engines, and the OP-2, with engines by Pratt & Whitney – and a third is currently in the process of assembly. Certification of the Mi-38 is planned for 2014. The ILA is one of the world’s largest and oldest aerospace trade shows. The show was first held in Frankfurt-am-Main in 1909. ILA 2012 will take place in the new Berlin ExpoCenter Airport at Schönefeld, 2km from the previous exhibition space and 18km south-east of Berlin. At ILA 2010, 1,153 exhibitors from 47 countries took part, 295 aircraft were displayed and business agreements worth a total of at least USD 16.5 billion were signed.